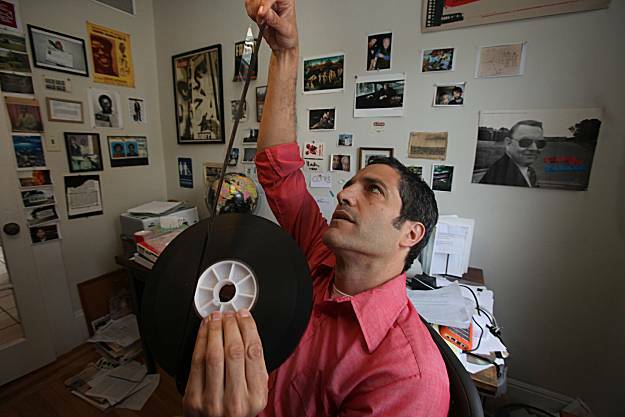 San Francisco documentary filmmaker Sam Green is interested in exploring stories of hope – hope that is misguided and dashed, hope that may eventually be realized. Green’s new film, “Utopia in Four Movements,” to be screened Sunday at the San Francisco International Film Festival, uses four stories from the 20th century to look at the state of hope and imagination today. And, as a nod to the power of coming together, Green has made a film that can only be seen live. He narrates onstage, while a soundtrack and lyrical score are also performed live. The movie itself, a pastiche of archival and original material, of still and moving images, tackles utopia through four vignettes connected by Green’s poetic explication. There is the artificial language called Esperanto, designed by a man in Poland who grew up amid ethnic divisions and envisioned a universal language that would end war and cultural conflict; a 1939 time capsule from the World’s Fair in New York; the world’s largest shopping mall, located in China and now a ghost town; and an American exile living in Cuba, full of optimism and surrounded by blight. The idea for narrating the film live came organically, and took him by surprise.